Nobody wants to be stuck in the Orlando heat without a working air conditioning system. A working A/C system is more than just a comfort issue, it can also be a safety issue. 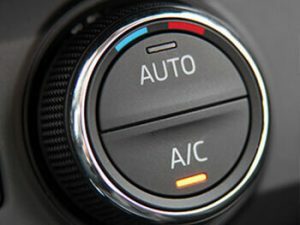 At Auto Solutions, we can inspect and repair your air conditioning in no time so you can be comfortable all year round. The best way to keep your A/C system from failing is to maintain it. Most manufacturers recommend recharging your air conditioning every two years. Our team offers comprehensive A/C recharging and repair services to keep your system performing optimally. To avoid driving around in the Florida summer heat without cool air, you should be aware of the signs that your air conditioning system is failing or going out. The most common is no cool air coming out, but you may be able to catch the problem before it reaches that point. Even if your A/C isn’t putting our hot air, you may notice it isn’t as cool as it used to be. This may be a sign that your system simply needs to be recharged or it could mean a bigger issue. Before it gets to the point of blowing only hot air call Auto Solutions. Our technicians will correctly diagnose and repair the problem before it is too late. It is normal to see water dripping outside your vehicle when you have been using the air conditioning. However, water inside the car is a problem. Part of your A/C system’s job is to dehumidify your car and water inside is a sign that it isn’t happening and it is time to call Auto Solutions. The only thing you should hear when you turn on your A/C is a fan or blower noise. If you hear a banging or rattling, it could be a sign of something simple like debris in the fan or something more complex like a failing compressor. 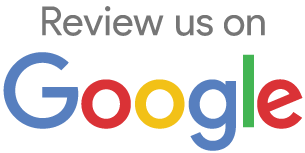 As soon as you hear noises, schedule an appointment with our technicians for a fast diagnosis and repair. Strange smells coming from your vents are a sign of something wrong with your A/C system. A mildew smell could indicate a mold issue that is bad for your system and even worse fr your health. Refrigerant is what your A/C uses to produce cold air. Unlike other fluid leaks, the source of a refrigerant leak can be difficult to determine. Auto Solutions’ mechanics can diagnose and repair the source of your leak in no time and get you back on the road. If you notice these or any other issues with your vehicle’s A/C system, call our team at Auto Solutions before you get stuck in the heat.